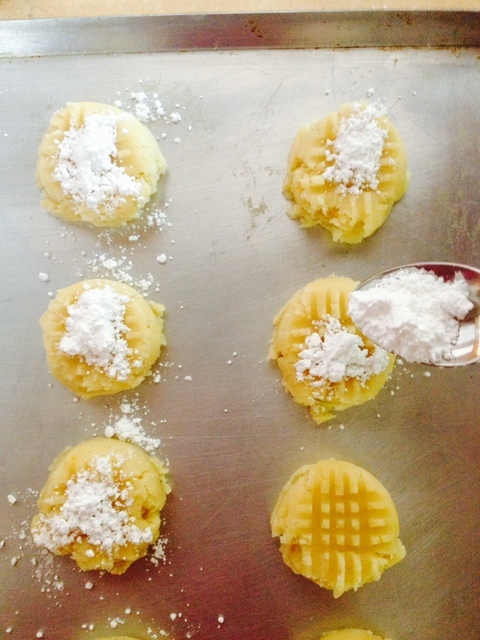 Amish Sugar Cookies: a melt in your mouth sugar cookie sprinkled with powdered sugar on top. This recipe dates back to the 1960’s with my family. 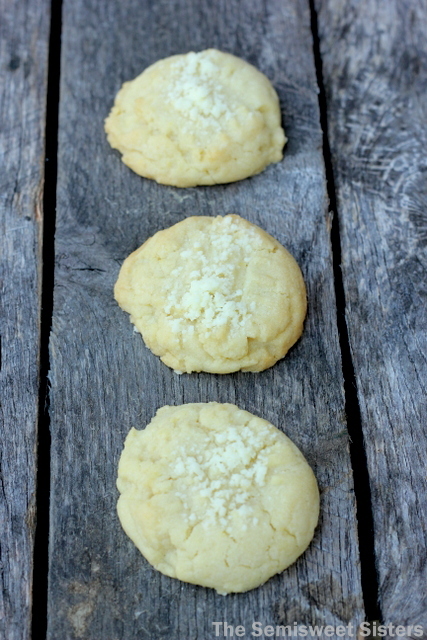 Amish Sugar Cookies were always my Mom’s go to sugar cookie recipe when I was a kid. In fact they might have been the very first sugar cookie I ever ate so forgive me if I sound a bit bias about this recipe. I really love these cookies! They definitely rank in my top 10 favorite cookie recipes. 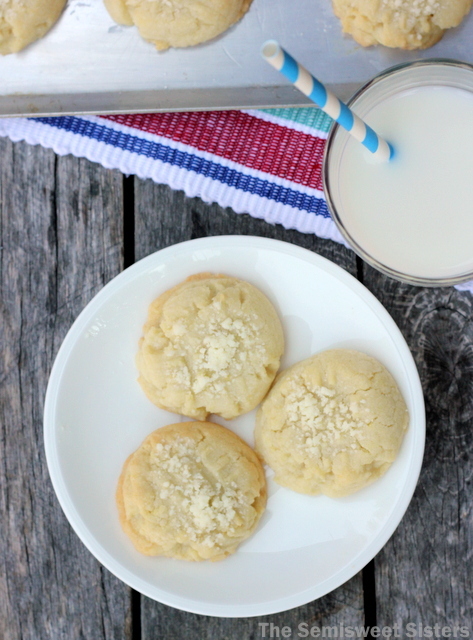 Amish Sugar Cookies are not your typical sugar cookie by any means, they have a slightly crumbly texture & they practically melt in your mouth. I always sprinkle them with powdered sugar before I bake them in the oven because that is how my Mom always made them but you can also top them with sprinkles, frosting, or leave them plain. Mix all the ingredients together in a large mixing bowl (I always hand mix it). Chill mixture in the refrigerator for about 30 minutes (sometimes I skip this step if I'm in a hurry). Roll into balls. 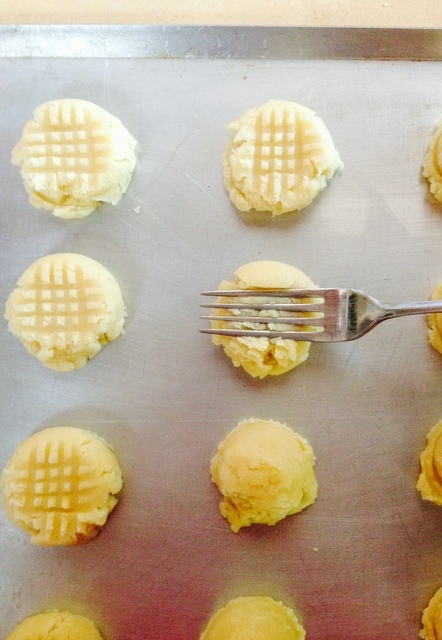 Use a fork to press them down, making a criss-cross design. Bake for 10 minutes or until you see some of the edges turning just a slight golden brown. (Be careful not to over bake them).